Looking back, we can’t imagine a better travel year than 2017. Airlines proved more reliable and more luxurious, at least in upper classes, and hotels like Hotel de Crillon, Surf Club Miami and The Silo proved the most glamorous of new openings. And 2018 is shaping up to be an even more impressive year with delayed openings that should have already been and starry newcomers that should be planned around for Paris, LA and Africa. 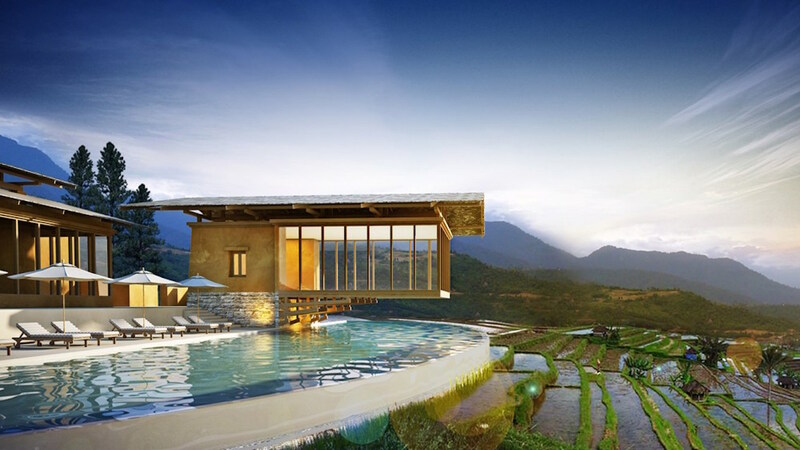 In terms of new resorts, look for one showstopper after another in faraway places like the very protected Bhutan where Six Senses (pictured) opens later this month. Ritz-Carlton Reserve and Four Seasons Costa Palmas wow north of Los Cabos Mexico and One&Only bets on Rwanda with a 28-villa resort located on a working tea plantation on the edge of Nyungwe National Park known for its indigenous primate population. In Los Angeles, there have rarely been more impressive names than designer Jacques Garcia (Hotel Costes) and chef Daniel Humm (of acclaimed Eleven Madison Park) that are readying NoMad Los Angeles. Housed in the 1920s headquarters of the Bank of Italy, the landmark neoclassical property will be home to the latest ‘it-rooftop’ with alfresco Italian eatery, cocktail bar and pool. Now if the promised Soho Warehouse DTLA in the nearby LA Arts District would finally announce an opening date, 2018 would be truly memorable. Santa Barbara ups its hotel game with the long awaited Rosewood Miramar Beach Montecito. On 16 acres of prime beachfront real estate, intersected by a public rail line, the resort will offer 124 guestrooms and 37 suites with oceanfront bar and restaurant, two swimming pools and exclusive membership-only beach club. In Shanghai, Swire Hotels brings its urban swag with Middle House offering 111 studio-style rooms and the brands cool-quaff aesthetic. About 400-miles outside of town, Aman creates an urban retreat known as Amanyangyun. The 25-acre property features just 24 suites and 13 multi-bedroom villas with Aman-activities like tea ceremonies, calligraphy, and Kunqu Opera performances. Hong Kong gets its latest luxury boutique hotel called The Murray with architectural pedigree by Foster + Partners that spans 25 floors on the well-known Cotton Tree Drive with Waldorf Astoria and Rosewood also debuting soon. And along the Left Bank in Paris, the magical rebirth of Hotel Lutetia comes to life in an 184-room Art Nouveau marvel designed by Jean-Michel Wilmotte with revamp of the famed 1920s Aristide Jazz Bar that's poised to be our favorite hotel opening of 2018.